Hip hip hooray, it's Friday!!! We had a great link party this week and I saw so many fantastic projects that it was hard to pick just a few features. I'll think you'll be as inspired by these as I was! Mallory from Charming in Charlotte participated in the One Room Challenge this fall and shared her Powder Bath Makeover with us. Um, WOW! 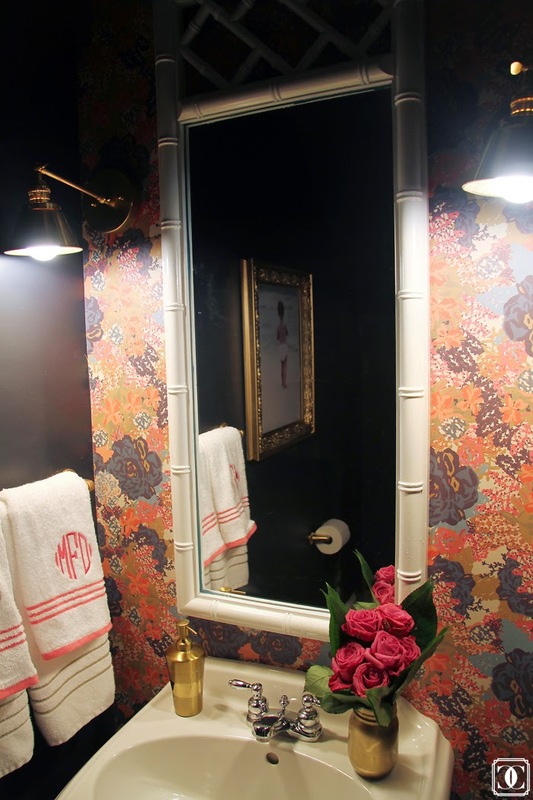 That fabulous graphic wall that she promises was super easy to install, the gorgeous sconces, the moody dark walls, and monogrammed towels are always a win! Leslie from House on the Way decided to create a Black, White, and Burlap Christmas this year. This is such a pretty modern yet warm color scheme, and Leslie has done a beautiful job with her Christmas decor! Cassie had a busy fall working over her kids' basement playroom. She shared her Eclectic Book Inspired Playroom and there are so many fun elements that I'm crazy about... the sputnik style light fixture, the wallpapered "passageway to Narnia" door, the giant chalk wall... SO good, Cassie! 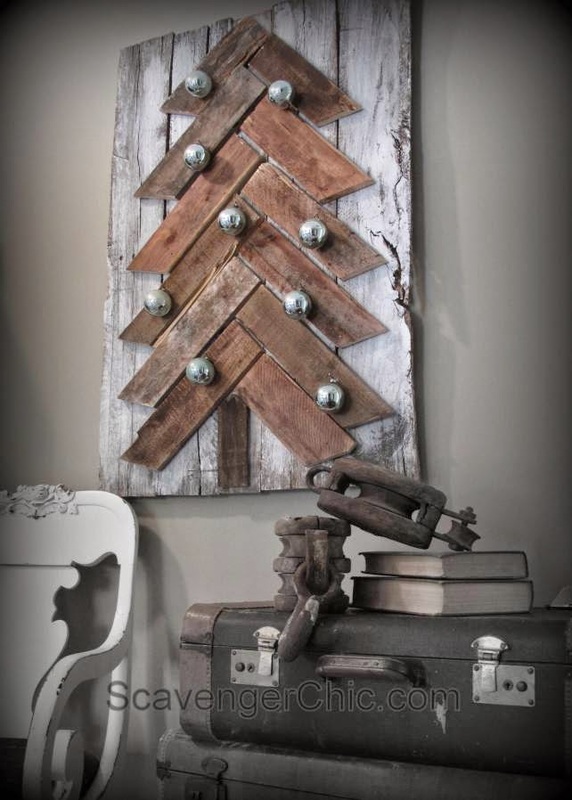 Joan from Scavenger Chic made this awesome Pallet Wood Christmas Tree. I love all of the ideas she shared to decorate it in different ways. This would be such a fun (supervised) kid project, too! You guys know that my heart goes pitter-pat when I see a good tablescape. I'm totally in love with this one! 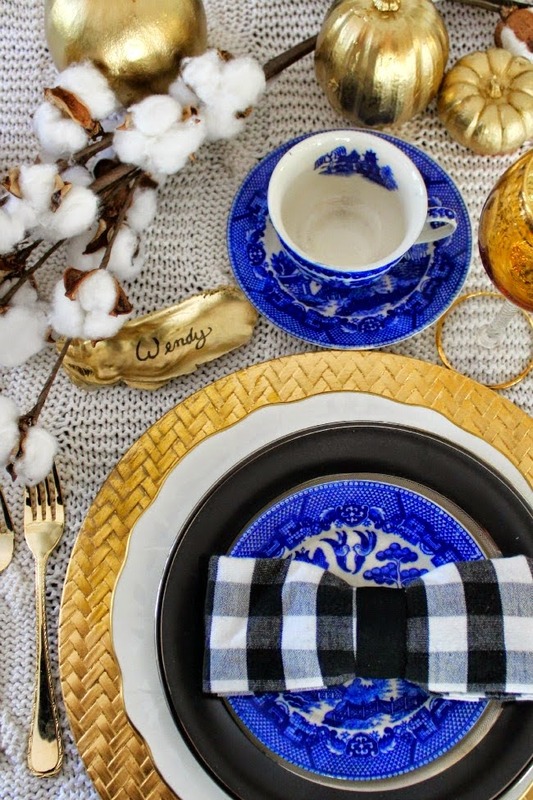 Heather from Southern State of Mind shared her Southern Style Table Setting, and the color combo just couldn't be any more gorgeous! Thanks for checking in today, friends. We will be taking a break from Best of the Nest in December, but will be back in January for a giant December/January combo party! EEK! thank you so much for the feature!!!!! and i LOOOOOVE mallory's space and that last table setting takes my breath away! Thank you for sharing these fabulous posts. 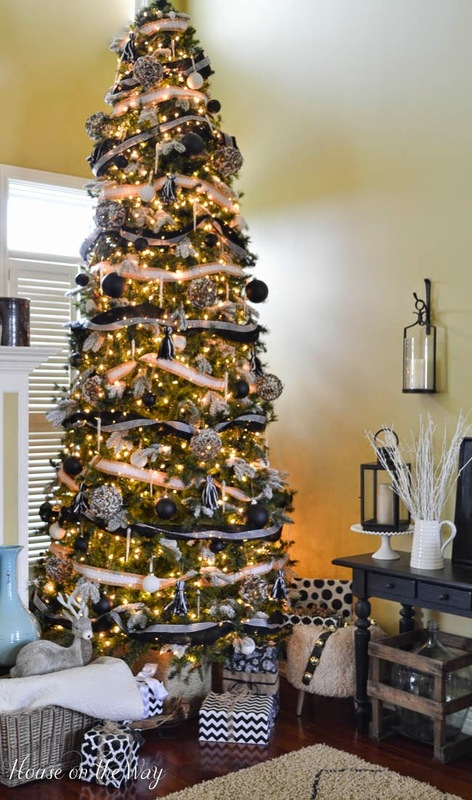 I love a Christmas tree that is unique and this black and white burlap has enough beetle juice for me to be awesome. 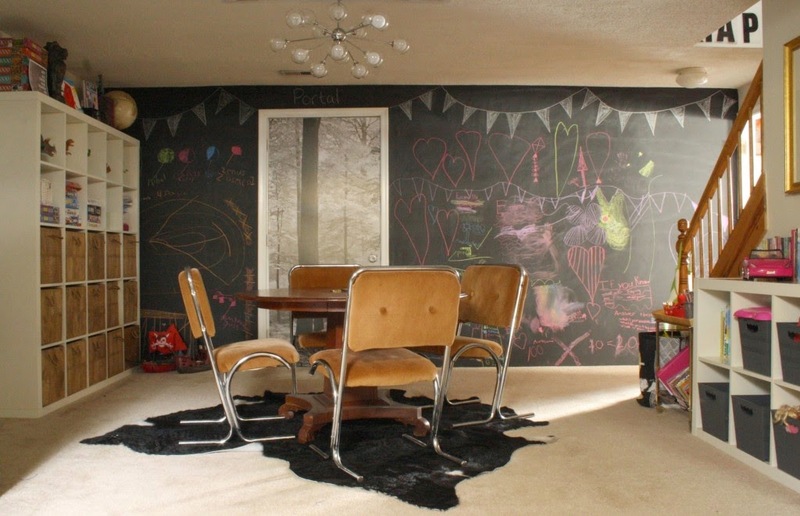 I would have loved to have a chalk board wall when I was a kid, I sure did re-draw a lot of wall papers. Have a great evening!